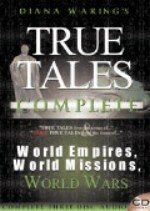 Now on CD, Diana’s True Tales & More True Tales continue from the early 1800s to the Korean War. Presented in a story teller’s enthusiastic manner, these accounts of people and events are supplemental to the material heard in Part Three WHAT IN THE WORLDS GOING ON HERE?. The 3-CD set contains more short vignettes of history, short biographies of fascinating people, and short descriptions of incredible events, all told in Diana’s internationally renowned, enthusiastic and captivating style. RIDE the waves of freedom with Diana as slavery is abolished and nations are liberated from empirical rule. WATCH as the aftermath of the second World War unfolds across Europe, Asia and the Pacific Ocean. LISTEN as men and women sacrifice all to bring the Gospel to distant lands. STAND amazed at the unflagging persistence of heroes who conquered opposition and overcame failure to attain their destinies and dreams. the Father of Modern Missions, William Carey. the Englishman who gave himself for the abolition of the slave trade and slavery, William Wilberforce. the architect of Europe after Waterloo, Klemens Von Metternick. the scientific genius of James Watt. the hero of Mexico, Benito Juarez. the Liberator of South America, Simon Bolivar. the construction of the Suez Canal. the mission and life of Lilias Trotter. the adventures of Lawrence of Arabia. View related products listed below. Picks up where Romans, Reformers leaves off. 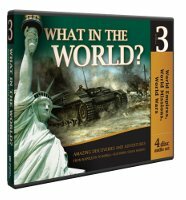 Includes the Industrial Revolution, Colonialization, Napoleon, the Victorian Age, Modern Missions movement, World War 1, and World War II and includes a study of world geography. Napoleon and the French Revolution took place about the time of the American Revolution. The Korean War took place in 1950, so this covers 150 years of World History. 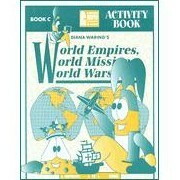 If you’re one of our many Diana Waring fans, this product will need no explanation.